It may be cold up north, but it’s still temperate down south, so why not take a quick flight to the Sport Aviation Expo this week in Sebring, Florida and enjoy all things aviation? The U.S. Sport Aviation Expo started in 2004, and this year proves to be its biggest event ever. 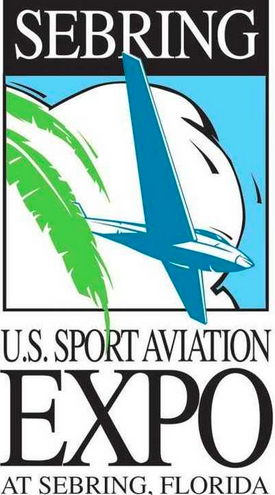 The Expo runs from now until January 23rd in cooperation with Sebring Regional Airport. In 2015 they hosted over 18,000 attendees, from old aviation pros to new enthusiasts. Exhibits are open from 9:00 a.m. to 5:00 p.m. each day. See new aircraft types, models, engines, propellers and more, with over 150 aircraft on display from around the world. Explore the aircraft sales lot, participate in daily workshop and forums, or check out the indoor drone display and demo area. They even have a daily schedule of events up if you can only fly by for a morning or afternoon. You’ll also have the opportunity to see the new 20-foot drone from Float Planes and Amphibs (FPNA) in action. Demonstrations are scheduled daily from 9:30 a.m. to 3:30 p.m. So if you need a little warming up in sunnier skies, head south this week, and check out the Sport Aviation Expo.